Silsila Ishaan and Mauli’s big decision. Ishaan stays distressed with Mauli’s decision to pretend as Kunal’s wife until he regains his memory. He wonders why is fate doing this with him and why is Mauli going back to Kunal. 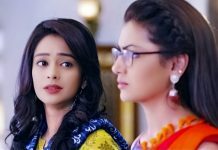 Mishti and Pari get saddened with the thought that Kunal has lost his memory. Mishti is sure that Mauli will help Kunal regain his memory and then he will remember them. Dida and Radhika want to end the chapter by telling the truth to Mauli. Mauli doesn’t want them to hurt Kunal in any manner. She tells them that they can’t be sure of Kunal’s reaction. She tells them that she is ready to pretend as his wife only for his safety. Kunal asks Mauli to tell him how did the house change so much. He wants his room to be the same. asks Mauli what’s this joke. He wants to know what are kids’ stuff doing in his room. He demands her to answer. He gets stressed and faints down. Mauli gets to his rescue. She doesn’t want him to lose control by high anxiety. Dida tells them that they can’t manage Kunal alone. Dida and Radhika ask Mauli who will manage the kids if she stays back to manage Kunal. Ishaan tells them that he will take the responsibilities of Pari and Mishti. He tells Mauli that he will handle everything and try to lessen her tensions. He accepts Kunal’s partial memory loss. He wishes that this didn’t happen at the time of their marriage. He regrets over his fate. He tells Mauli that he is proud of her, since she is not wrong. He tells Mauli that Kunal has to live his old life with Mauli. Mauli finds it very tough. Pari requests Mauli to stay with Kunal and look after him. Mishti shows her belief in Mauli. They expect Mauli to help Kunal and them in the hour of need. 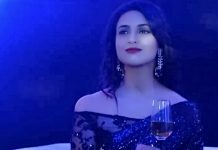 Mauli feels she is doing injustice with Ishaan, since they are going to get married. She doesn’t want to hurt him. Ishaan reminds him her duties as a doctor. He tells her that he will convince Sandhya. He doesn’t see any other option. He convinces Mauli to live with Kunal. This brings happiness for Dida and Radhika. Sandhya gives time to Ishaan and wishes that he forgets Mauli forever. Ishaan gets Pari and Mishti home. Sandhya gets irked seeing the kids. She asks him where is Mauli. Ishaan tells her about Kunal’s partial memory loss, and Mauli living with him to cure him. He pities Kunal’s state. Sandhya asks him not to be so blind in love. She doesn’t want her son to get mad for Mauli. She tells him that Mauli can fall for Kunal once again while helping him recover. She asks him how can he sacrifice his life and happiness.